Another non-patterned project. Also turned out a bit too big in the waist. How to avoid this? Still at least I know ways to sort it out now, even if it’s a bit of a rigmarole. For this one, I took some help from this very helpful blog. I used Casey Brown’s now un-viewable waistband tutorial. I found this beautiful fabric in John Lewis in Leicester (adventurous, I know! ), and bought the last of it. 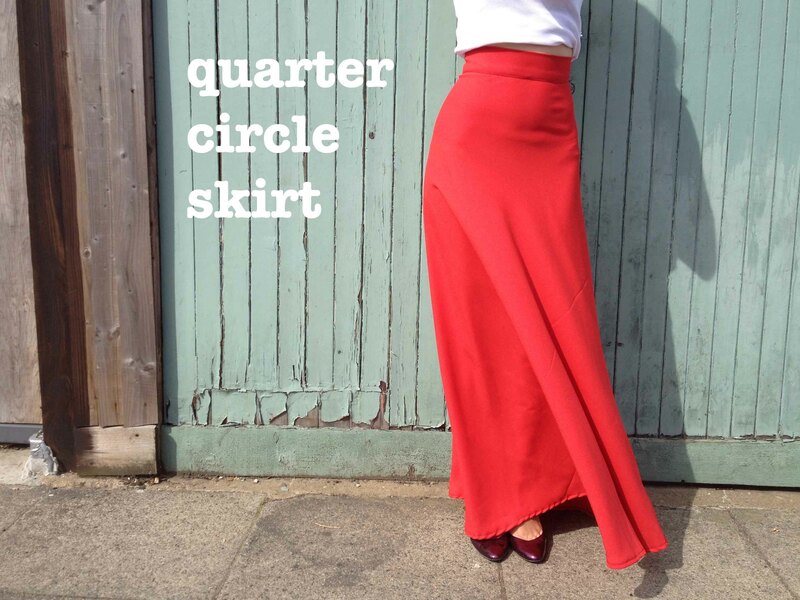 Originally I wanted to make a quarter circle maxi skirt like By Hand London’s one. But I had nowhere near enough fabric. So – hours of research (becoming quite ‘my thing’, these hours). Firstly, grain. 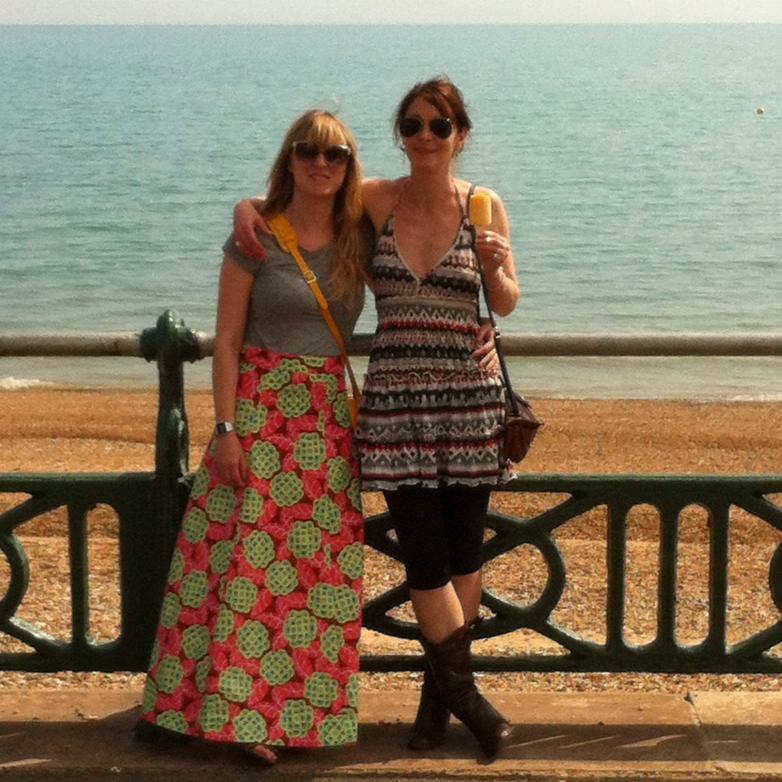 I was aware that I didn’t have enough fabric to make a skirt on the long grain, only on the crossgrain. Plenty of info out there explaining things, but I decided to go ahead anyway. So, measurements made, fabric cut and sewn, lovely lapped zip put in as per these instructions. And, done. Oh whoops. Too wide in the waist. Ignore. Wear. Does the crossgrain matter? Who knows. ← What’s the point of this?